'Pari' For Real? Kesari Star Parineeti Chopra's Latest Picture Looks Straight Out of Fairyland And we Are Not Exaggerating! 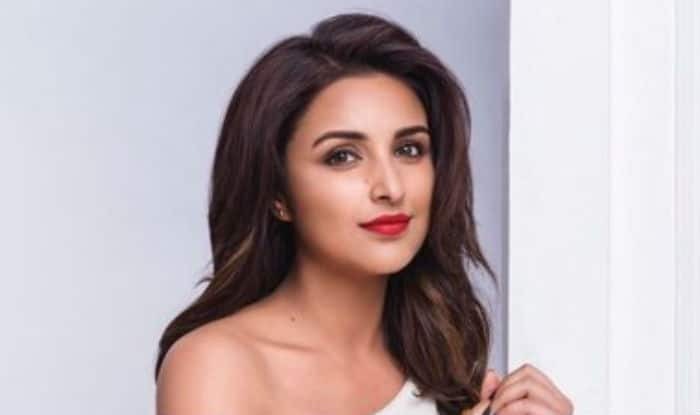 We don’t know about others but Kesari star Parineeti Chopra surely eats a magical energy bar to remain super active and ready to slay around the clock despite heavy working schedules. Wrapping up a shoot, Parineeti proved our former claim as she looked not just refreshing but straight out of fairyland, true to her name. Posing for the camera “post packup,” Parineeti sat on the floor of the studio, donning a black strapped-top with plunging neckline teamed with black jeans. However, it was her kohled eyes with winged eyeliner that sparkled as she sat with her hand in her hair, giving a pixie-like expression. She captioned the beautiful monochromic picture as, “Sometimes a #PostPackupShot is more fun than the actual shoot itself!! Hahha Thankss my favv @avigowariker for this one. Guys – Couldn’t find the perfect emoticon to put in the caption – what do you guys think it should be?? Im reading the comments” (sic). On the professional front, Parineeti has started preparing for the Saina Nehwal biopic. The actor plays the titular role of the celebrated Indian badminton player and is going through a rigorous training schedule for the same. In her latest interview with a daily, Parineeti revealed that her routine kick starts at 5 am every morning and she hits the badminton court with her trainer. The actor also expressed her excitement of working on a film that requires her to come out of her comfort zone. The actress also has another movie, Jabariya Jodi, lined up in her kitty opposite Sidharth Malhotra.